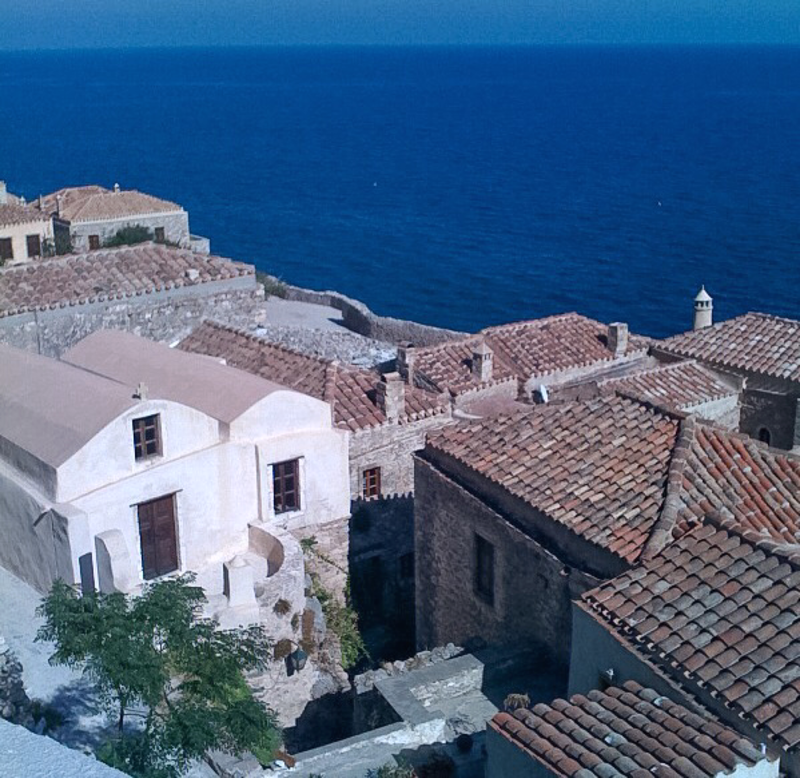 On a recent trip to Peloponnese, we planned to visit the medieval village of Monemvasia. 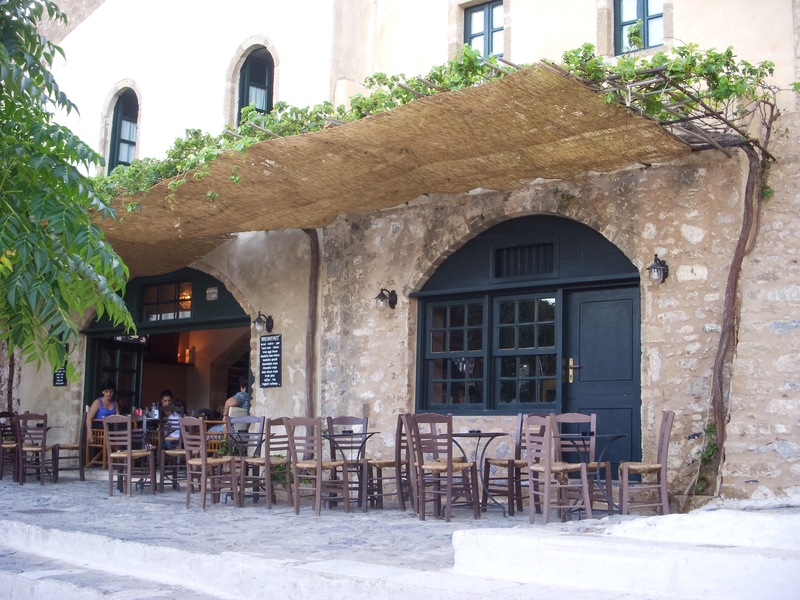 Not only do we love this fortress with its old stone buildings and a maze of cobblestone walkways, but we looked forward to seeing a family friend, an artist who owns a shop in the village. Unfortunately, our busy program and a bit of stormy weather prevented us from getting there on this trip. 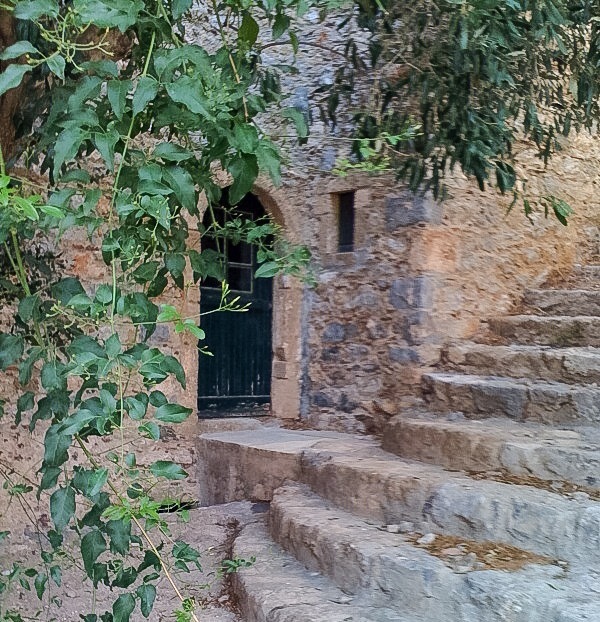 Please enjoy a few photos of the doors of Monemvasia from our past trips to this beautiful historical village. 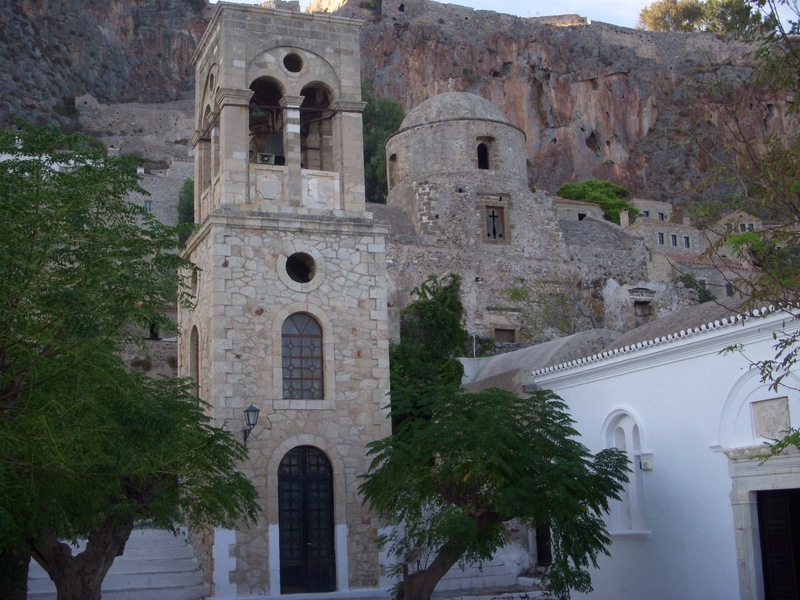 I was transported to Greece momentarily. Thankyou. 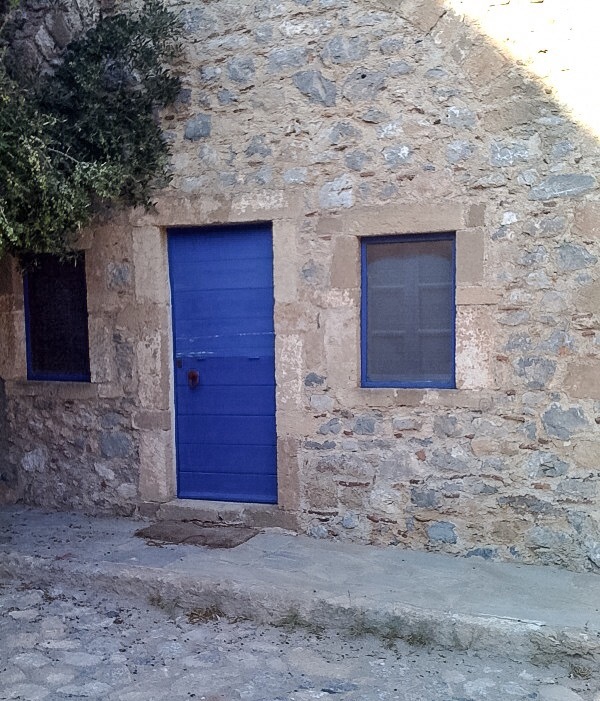 I love all the stone buildings as well as the doors, the bright blue one in particular.